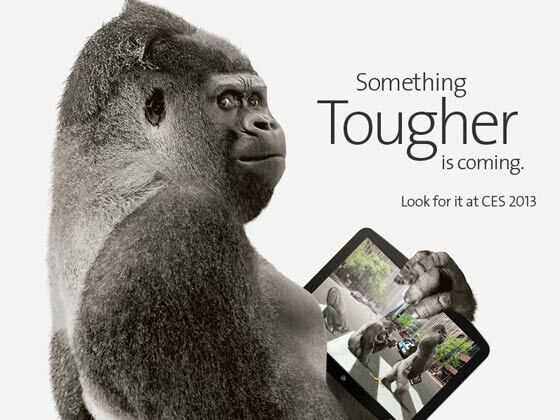 Corning Gorilla Glass 3 is 3 times tougher! 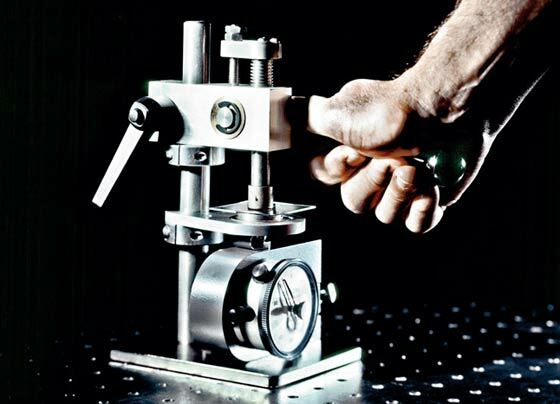 Corning is set to show off its impressive new improved version of Gorilla Glass at the CES 2013 in Las Vegas next week. The new toughened glass, predictably called Gorilla Glass 3, is “three times better at preventing serious scratches” according to a pre-launch report on c-net. Gorilla Glass 3 improves upon its well respected previous iteration by making changes to the glass’ atomic structure and internal bonding properties. David Velasquez, Gorilla Glass director of marketing and commercial operations, said that the company has been able to “invent another kind of glass”, which is less brittle and less prone to scratching. It will require three times the amount of force to damage the surface of Gorilla Glass 3, Velasquez boasted. In addition to being more scratch-proof the new glass reduces “scratch visibility” by 40 per cent. Discussing the new screen structure’s brittleness Velasquez claimed that Gorilla Glass 3’s resistance to breaks is increased by a full 50 per cent. The rise in popularity of touchscreen smartphones and tablets has provided a great business opportunity for Corning, which previously majored in cookware products. In November the company announced it had provided Gorilla Glass based screens for over 1 billion devices. Does any reader use a device with a Gorilla Glass screen without a screen protector? AOC Agon 35-Inch Curved HDR 200Hz gaming monitor revealed Panasonic showcases transparent OLED TV concept Nvidia teases GeForce GTX 16 series gaming laptops Has Samsung been chosen for Intel Xe GPU manufacturing? Does the Samsung Galaxy Fold hinge and screen lack durability? AFAIK my o2x has gorilla glass. It's been not particularly carefully treated for 18 months now, and on a reasonable inspection … ooh, it appears to have one small scratch that I've only just noticed. tbh fingerprints are a much bigger problem than scratches on a modern smartphone…! I agree with the above but there isn't much said on the brittleness except the magical 50% figure. How often do you gently press huge amounts of force? Never, you will drop the phone which will suddenly put a huge amount of force onto a tiny area which shatters the screen. Gorilla Glass 2 is no imprevious to this after seeing how shattered a Galaxy SIII can get by just having a little fall. The main problem with it is that the increased ‘toughness’ or whatever is negated when they also choose to make the glass thinner every time.. It's like the dilemma with electronic components. Do we make them more powerful, or more energy efficient? I can never take Corning seriously when they say its X times tougher, yes their Gorrilla Glass is pretty good at preventing scratches (apart from sand and stuff…that will always be a problem!) however they bang on how tough it is yet all the ‘tests’ I have ever seen them show they always apply a gradual increase in pressure, that will never happen in the real world and what would be a true representation would be to use their machines to punch the glass at whatever pressure they say it can withstand. That is all they need to solve, its obviously a key flaw with glass and I would be surprised if they could prevent cracking and bring it to a similar rate as plastics but I would be really impressed if they could :P.